TENMAT’s FEROFORM F61 is a cured silicone resin matrix reinforced with a woven glass fibre cloth. FEROFORM F61 is a high performance, high temperature insulating material for demanding applications. It has good resistance to temperatures up to 300°C. The main area of application is the aerospace industry where reliability and dependability are paramount requirements. 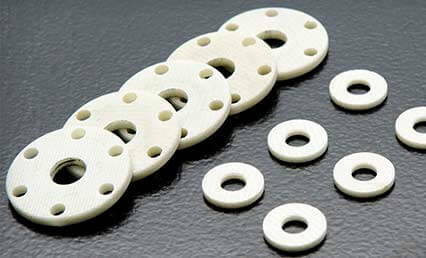 FEROFORM F61 is available as fully machined parts according to customer specifications.